Air and ocean freight forwarder Expeditors International of Washington reported sharply higher profits and strong revenue growth in the second quarter of 2018. The Seattle-based company earned $140.6 million, or 79 cents a share, in the three months ended June 30, compared with $108.9 million, or 60 cents a share, in the same period a year ago. Total revenue surged 17% to $1.96 billion, and net revenue climbed 14% to $642.5 million in the latest quarter. CEO Jeffrey Musser said the company benefited from higher shipping volumes from new and existing customers and increased demand for brokerage, ground transportation and delivery, and order management services. Profits increased despite having to pay more for transportation services. Musser said the company has yet to see changes to supply chains as a result of threatened tariffs between the United States and its major trading partners, but it is paying close attention to the issue. “We are confident in the capabilities of our people throughout our global network to help our customers navigate the potential impact of new tariffs,” he said. Breaking down business by geographic region, Expeditors said net revenue jumped 25% to $682.3 million in North America, 56.6% to $42.6 million in Latin America, 9.1% to $859.8 million in Asia, 22.9% to $330.8 million in Europe and 12% to $114 million in the Middle East, Africa and India. 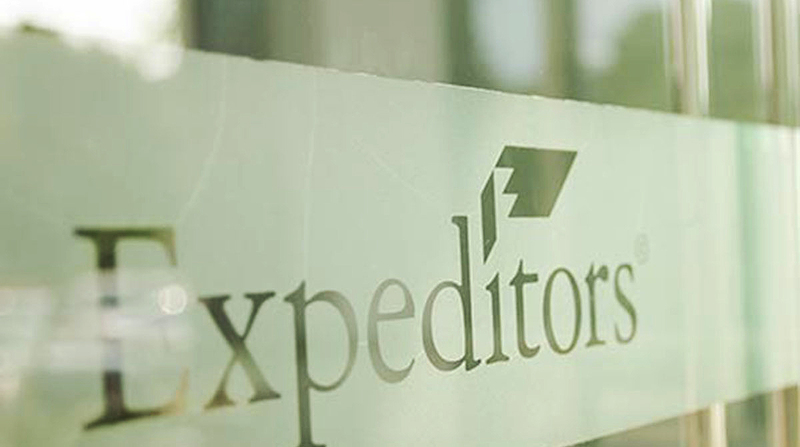 Expeditors ranks No. 5 on the Transport Topics Top 50 list of largest logistics companies in North America. For the first six months of 2018, the company earned $276.3 million, or $1.54 a share, compared with $202.1 million, or $1.11 a share, in the same period in 2017. Total revenue was $3.8 billion in 2018 versus $33.2 billion in 2017. Net revenue, which is total revenue minus the cost of purchased transportation, was $1.3 billion in the first six months of 2018, compared with $1.1 billion in 2017.